EVANSVILLE, IN (April 4, 2019) – Last month’s heavy rainfall and rapid snowmelt have caused catastrophic flooding across Nebraska and, according to The Associated Press, the cost of the flood damage has surpassed $1.3 billion. Bear Archery is proud to support Identical Draw’s efforts in raising funds for Nebraska’s recent flood victims by donating a Special Edition Kuma finished with a red, white and blue One Nation pattern to be used in a social media giveaway. As long-time Nebraskan residents, the Kricks have witnessed firsthand the resulting devastation of the flooding and have started a social media giveaway to help raise relief funds. Each person who donates to their GoFundMe page is entered for a chance to win the Special Edition Kuma compound bow from Bear Archery. All the money raised from the GoFundMe page will be sent to the American Red Cross in Omaha to help with the damage and continued work in fighting the flooding. Visit and Like Identical Draw’s Facebook page at http://www.facebook.com/identicaldraw/ to follow the giveaway or enter the giveaway and make a donation by visiting Identical Draw’s GoFundMe page athttp://gofundme.com/nebraska-flooding-donation/. Identical Draw is an outdoor production started by identical twins, Thomas and Nathan Krick. Their love and appreciation for bowhunting inspired them to start their own outdoor production and teach others about this important sport. 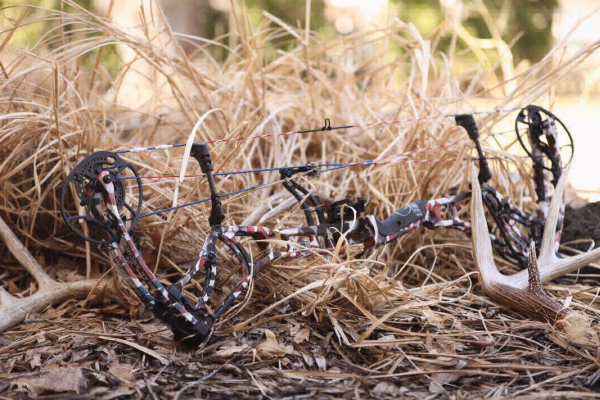 Founded by the iconic father of modern archery, Fred Bear in 1933 with the intention of bringing archery to the masses, Bear Archery® continues to produce legendary bows with the same focus on reliability and technology while maintaining its rich heritage of innovative leadership, quality products, and family values. Bear Archery is a division of Escalade Sports. For information on Bear Archery, its products, brands, instruction manuals, retailers, warranty, replacement parts, or customer service, please call 1-800-694-9494 or visit www.beararchery.com.